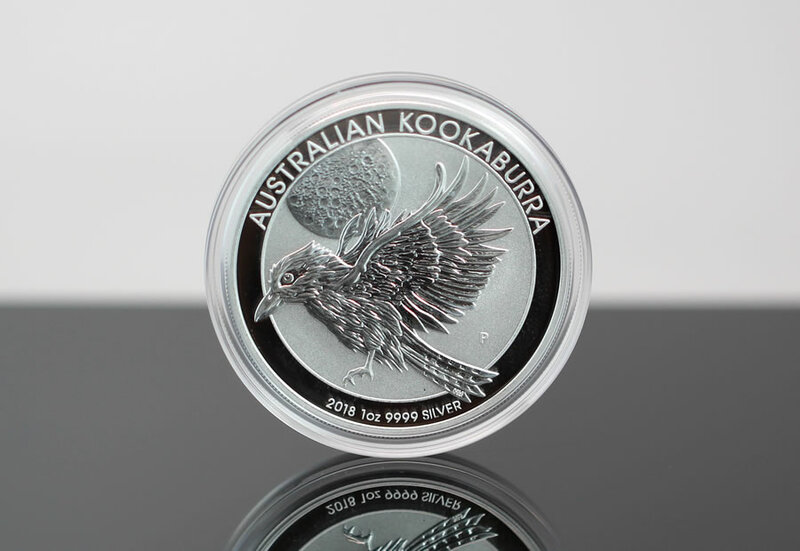 CoinNews photo of a 2018 Australia Kookaburra 1oz Silver Bullion Coin. 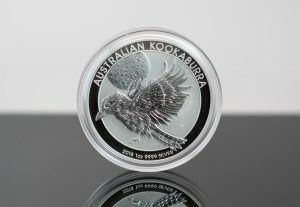 The Perth Mint started selling it and some other 2018-dated coins in September and October. Australian bullion demand in October surged for silver and slipped a bit for gold, according to sales figures published Nov. 1 by The Perth Mint of Australia. Gains happened against mostly lower precious metals with LBMA prices registering October losses of 1% for gold and 0.2% for silver. Perth Mint bullion sales did see support from some newly 2018-dated coins. The Perth Mint sold 44,618 ounces in gold coins and gold bars last month, representing declines of 3.9% from September and 43.6% from October 2016 when the most sold since May 2013. Year to date sales at 314,500 ounces are 21.8% lower than the 402,128 ounces delivered during the first ten months of 2016. October sales of silver bullion totaled 999,425 ounces, the highest in three months with gains of 43.2% from September and 154.9% from August. However, the level marks a 7.8% decline from October of last year. For the January to October period, silver sales at 8,217,535 ounces are 24.1% lower than the 10,822,135 ounces delivered through the same months in 2016. Below is a monthly summary of Perth Mint bullion sales from October 2016 to October 2017. The figures show monthly ounces of gold and silver shipped as minted products by The Perth Mint to wholesale and retail customers worldwide. It excludes sales of cast bars and other Group activities including sales of allocated/unallocated precious metal for storage by the Depository.